Get maximum power, higher reliability and reduced wear in both cold and normal weather by preheating your engine! The Kart Pro Engine Heater from Hot Head Products is by far one of the most important items TaG, Shifter and Rotax racers can have. There is no doubt, the Streeter Super Stands Team agrees that The Kart Pro Engine Heater is the most valuble tool in our pit area. 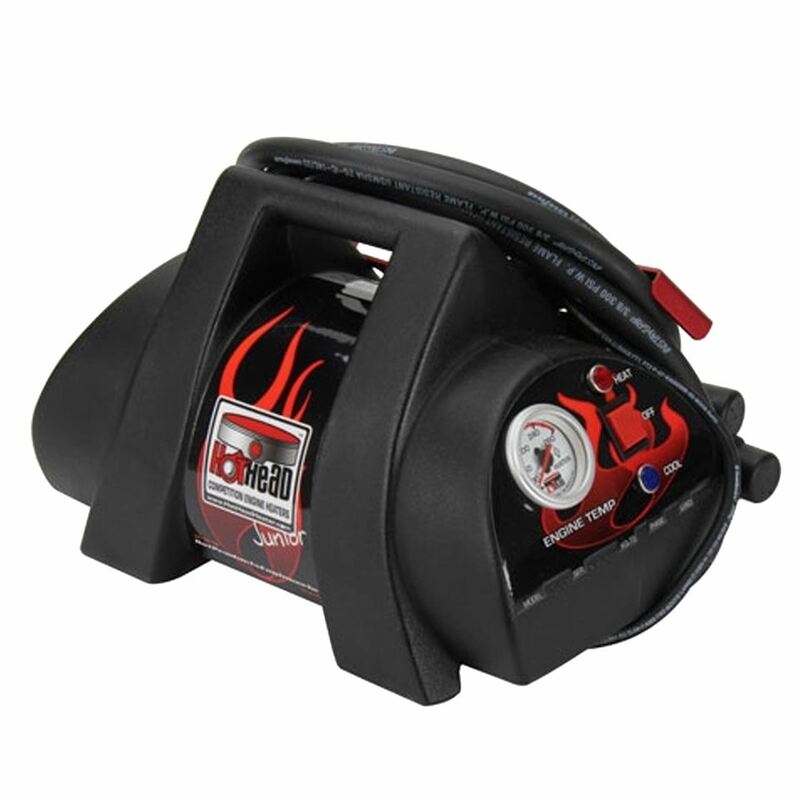 The Hot Head Kart Pro competition engine heater ensures race-ready tempuratures. The units steady 135 degree engine temperatures help during tuning, practice, qualifying and most importantly... race time! This is a must for any TaG, Shifter, Rotax, liquid cooled karting application. Pays for itself versus costly engine rebuilds!